Home Blog Page Big Uncategorised Worried about snakes in your garden? Worried about snakes in your garden? Any gardener will know that there are plenty of creatures that call your treasured garden their home. Some of these are cute, cuddly and completely welcome, but there are others that you may not feel so happy about seeing. Grass snakes are a great example of this. Known to be the largest reptile in Britain, the grass snake can grow to be 1.5m in length. 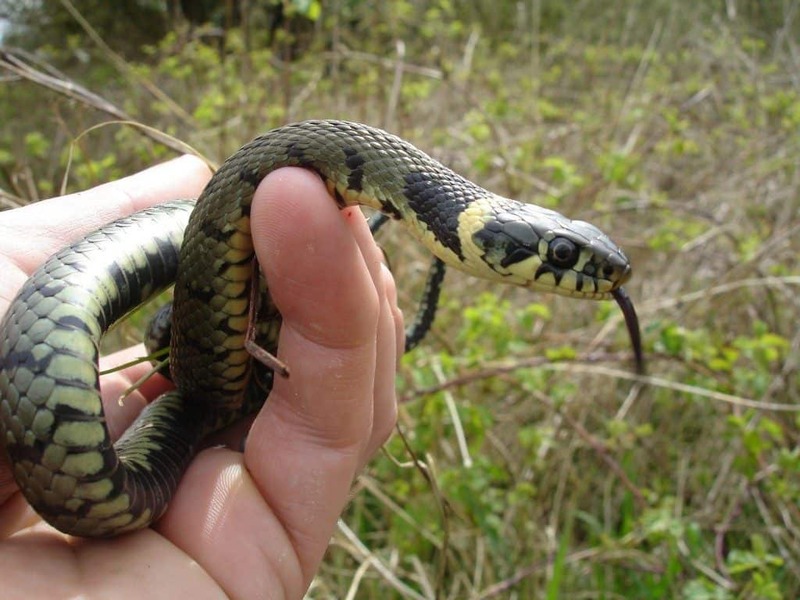 It is important to remember that grass snakes are non-venomous, which means that they cannot harm you in any way. That said, they do have glands within them which can excrete a rather unpleasant smelling liquid if they are handled. They are not particularly brave creatures and will spend most of their time hiding away, usually in warm places such as the compost heaps. So are they are a bad thing to have in your garden? The answer is most definitely not. As they pose no threat to you they can live quite happily in your garden. They will hide away in corners and compost areas, laying their eggs and raising their young. 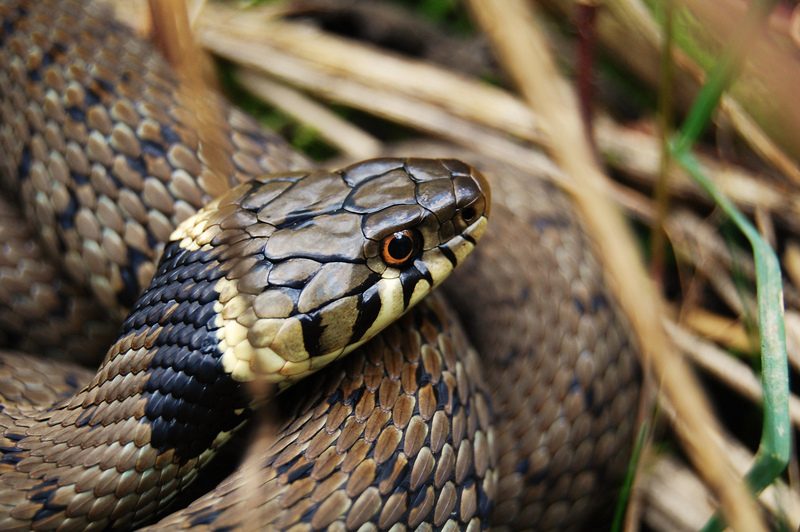 Grass snakes like to eat small mammals, fish, birds and amphibians, however, as they do not need to eat frequently they do not pose a threat to the numbers of these creatures in your garden. Instead, they form an important part of the circle of life and are a beautiful addition to your garden. Can I catch them and move them? You can choose to leave the snake well alone, but if the thought of it residing in your garden isn’t ideal then you can try to catch it. It is important to remember that grass snakes are pretty fast and they will hide away in plants and anything else they can slither under. They love water, so if you want to release them then aim for somewhere that has a good water source, such as a lake or pond, that way they can happily live their life, away from your garden. However, if you are happy to let your slithering friend stay, then you can be safe in the knowledge that they will pose no harm to you or your family. Rather than trying to move them away, why not take their visit as an opportunity to enjoy one of our local inhabitants. Our gardens are the perfect chance to get up close and personal with a variety of wildlife, so get out there, take a look around your garden and see what you can find. You may be surprised by what you discover. Previous Post	Rainy day gardening activities for all the family. Next Post	Gift yourself a beautiful winter garden.